Our students are motivated adults who wish to learn French for their job, their studies or their pleasure. In 2017, our students came from 37 different countries: Argentina, Australia, Austria, Belgium, Brazil, Canada, Colombia, Denmark, Dominican Republic, Germany, Hong Kong, Indonesia, Italy, Ireland, Japan, Kazakhstan, Kenya, Kosovo, Koweit, Liechtenstein, Malaysia, Mexico, Nigeria, Norway, New Zealand, Poland, Portugal, Sweden, Saudi Arabia, Singapour, South Africa, Spain, Switzerland, Taiwan, Thailand, the United Arab Emirates, the United Kingdom and the United States. The average age was 39. Satisfied with their education and the welcome they receive; many students come back over several years. We are even beginning to teach the children of our first students ! CLE was in the New York Times already more than 20 years ago! Discover CLE through our video. The first five weeks of the morning classes were exemplary due to the excellence of Emmanuelle’s teaching style. She presented information systematically but in a manner that never felt rote. She was completely engaged with the class as it was happening so as to make modifications almost effortlessly. She engaged a wide use of approaches, such as the Smartboard, games, music and short films. She was always aware of the visual & never took for granted that our written knowledge of a new or difficult word (or direction) transferred to the oral; instead, she quickly & simply used the white board to write anything that might still be a question or indicated with a gesture to the correct page or section. Just by using different colors to indicate the root of a word & the endings, she helped us to move forward in our understanding of how the language was working. She provided a variety of examples that not only helped us learn the concept in question, but served as a model for how one might change a line of thinking if one didn’t yet have the vocabulary to finish the first approach. Her warmth, humor, depth of knowledge and fine intuitive sense of what a student might be striving to communicate made for a wonderful experience in learning a new language. Brava, Emmanuelle! I was looking for an opportunity to boost my French to the next level, having studied the language on only a part time basis for the past two years. My goals were to improve my listening and reading comprehension. What I appreciated the most was the placement exam and the fact that they really did a good job of identifying the right group for me, and the teachers were mindful of my personal goals. CLE matched me with a fantastic host family to ensure that I was truly immersed. They were fantastic, adding another dimension to the experience that couldn’t be duplicated in the classroom. Finally, the Wednesday electives were fantastic, catering to the entire range of interests – from grammar to wine, from film & radio to cuisine, there really was something for everyone. If you’re considering an immersion language course, I can’t recommend CLE enough. With small class sizes, filled with motivated teachers and students, it’s exactly what you’re looking for. My two weeks at CLE were excellent. My only complaint is that I did not stay for longer! My level of french proficiency was carefully assessed on the first day, and I was put into the appropriate class – challenging without being discouraging. I also opted for extra private lessons (3 hours per week). Both the group classes and the one-on-one were excellent. The lessons were very well prepared, the teachers friendly, experienced and effective, and my fellow students were at a very similar level, so that I learned from them as well as from the teachers. The atmosphere at CLE was great – very friendly and relaxed, and a policy of “french only”within the school was wonderful; it kept your mind in “french mode”. There was a great interaction between students of all ages and nationalities. Tours is a great location – close to Paris, but not too big or too small, lovely historic centre and the local french people were very welcoming and helpful. Tours is in the Loire Valley with all its magnificent chateaux nearby. I highly recommend it to students of french of all levels. What a marvelous experience! As a retired school principal and teacher looking to study French in the Loire Valley, CLE met all my needs and expectations. CLE is centrally located in the old quarter of Tours within walking distance to many historical sites, cultural venues, markets, buses and trains. As a cultural and vibrant city, Tours offers students much to see and do in the evenings and weekends. This remarkable school with its experienced and competent staff was most welcoming, accommodating and resourceful. A genuine community spirit was evident. Our small class with students of diverse ages, cultures and backgrounds provided daily opportunities for spirited and entertaining discussions in the French language. Weekly, students were offered a choice of excursions and information about special events, concerts, theatre, restaurants, etc. After 7 weeks at CLE, my limited French language skills and confidence greatly improved and I wish I had extended my stay another few weeks. I would highly recommend CLE to anyone interested in becoming immersed in the French Language and Culture of the Loire Valley. For me, it was a memorable and engaging learning experience. I would certainly give it an A+. Thank you, Isabelle, Hervé and staff. My wife and I were delighted with our short but memorable session at CLE. We sought immersion in French culture, language, and friendship — and got all three. We made new friends, laughed a lot, made a big leap forward with our language skills, and left feeling more confident and motivated to continue our studies. CLE offers a perfect blend of scholarship and friendliness. I am delighted to give CLE in Tours a 5-star rating! I strongly recommend this school to all adults who are serious about improving their knowledge of French. 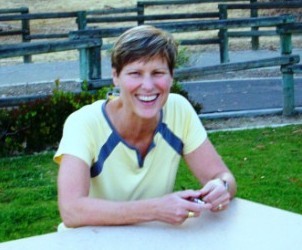 I am a 52-year-old American woman who decided to study in France in May 2009. I chose the city of Tours because I’d heard that the French spoken in the Touraine was very pure. In addition, I knew I would have easy access to the many beautiful chateaux in the Loire Valley. From the moment I had contact with Isabelle and Hervé, I knew CLE was the school for me. Isabelle and Hervé are experienced professionals, and to top it off, they are warm and caring individuals who take a personal interest in each student. Isabelle and Hervé carefully evaluated my level of French and placed me in a class that was perfect for me. I had to work hard, but I enjoyed every minute of it. And at the end of my two-week stay, I noticed a significant improvement in my French. My teacher, Catherine, was outstanding! One more thing: Isabelle and Hervé arranged ideal lodging for me. I stayed in a charming artist’s studio surrounded by a lovely garden, and my landlords, Eric and Sophie, welcomed me with such warmth, I immediately felt at home. I have very happy memories of my time at CLE, and I can’t recommend it strongly enough. Of course, I can’t wait to go back! See the blog created by a teacher and her students from Charleston, South Carolina. They spent three weeks with us in June 2010 and again in June 2012. I spent 2 weeks at CLE in June 2010. As a graduate of French some 30 years ago and not having spoken any French for 10 years I wanted a course which would help me rediscover a degree of fluency and also my enjoyment of the language. I enrolled for the standard course of 20 hours of group classes per week plus 3 hours of one to one tuition.The standard of teaching in the group classes was extremely high. Preparation was thorough and content was varied. In addition to general language exercises, poetry, politics and current events also constituted a substantial part of the class content. I had high hopes of the one to one classes and was again very impressed with the detailed preparation and the way the tutor accurately targeted areas which needed attention. In fact these classes were amazingly good. Coffee times were filled with conversations with other students about how pleased they were with their classes too! My hostess was charming and I received a warm welcome. The food was excellent and her cheerful company made my stay complete. I started my 12 weeks Intensive French Language course with some apprehension as it was 38 years ago that I passed my French ‘O’Level in England and more than 30 years since I sat in a classroom to learn anything. Yet here I was, at school again 5 days a week for the next 12 weeks! I had an initial test to verify my capabilities (!) then I was placed in a class at the appropriate level. There was a small turnover of students in my class as individuals came and went but this wasn’t disruptive. There were core members, like me! After a difficult first week, difficult because I had to get back into the mindset of ‘classroom learning’, the course went well for me. I think that in most weeks I went two steps forward and one step backwards, which was ok because that meant that I was progressing. Midway through the course, I sensed it was all getting much harder, but I imagined that as students were all progressing and that the teachers were ‘pushing the envelope’ and stretching us, and naturally, the course content was building up. Both of my teachers varied the content of the weeks quite a lot to avoid to much routine and to prevent the class becoming stale. I think that they got the balance about right and it was certainly ok for me. When necessary, individual help was given without alienating the other classmates. We all had our strengths and weaknesses. I met some good students in my time at CLE and wish them well in their endeavours. In summary, I found the course challenging enough without becoming swamped and felt that I had made some real progress when it ended, though I think I shall be back for more. After spending 8 wonderful weeks at CLÉ I highly recommend the school to anyone who would like to learn French through true immersion. I became a student for 2 months because I wanted to take a break from my job and at the same time improve my French, especially my beginner-level spoken French. I chose CLÉ because of the small class sizes and the opportunity to live with a host family in a city that is steeped in history and situated in the beautiful Loire valley. It was the best decision I’ve made in a long time! My time at CLÉ and in Tours was a happy and fulfilling experience. The school is well organized and the teachers are supportive, very knowledgeable and dedicated to their work. In turn, the students are expected to do their best – to show up for class, to participate, and to do the homework, which is quite manageable. While CLÉ takes learning seriously, the atmosphere is not serious or dull. Rather, it is lively, fun, and so interesting. 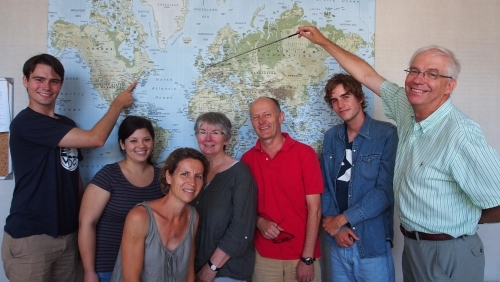 My host family, which was warm and hospitable, helped me very much with my French. Through conversations in French at meals and in the evenings I learned a lot about French history, current events, cinema, art, television and other aspects of life in France. I found that during my time at CLÉ and in Tours my ability to understand, speak, write and read French all improved considerably. I learned more of the language than I expected, and I also learned more about myself than I expected. As I’m studying French in my university in Ireland, it’s important that I speak and practice French as often as possible and what better way to do this than to do a French course in France! I’ve been to CLE twice now during my Easter holidays and each time, in only two weeks, I’ve noticed a vast improvement in my French, both grammatically and orally. The teachers are really friendly and highly accommodating towards each student’s needs. There is a diverse mix of students, ranging from all ages, so it is great to be able to speak French with your peers and learn about different cultures. CLE is situated at the heart of Tours, amongst numerous bars and restaurants, so you never stuck for choice of what to do at the weekends! CLE pinpointed my weaknesses in French and helped me improve through the wonderful facilities they offer at the school. I have always loved France. Of course, I learnt French when I was a schoolboy in England but in 2001 I decided to go to Tours to learn French at CLE. Nearly every year since then I have been to CLE at Tours to learn French and now I can speak French quite well. During my stay I have always lived with a very agreeable host family. In order to be able to speak French well it is very important to do the homework. The weekend is a good time to visit a museum, a château or a manor house in the country. Saturday is the best day to go somewhere by train.